374 Commonwealth is located on the south side of Commonwealth, between Massachusetts Avenue and Charlesgate East, with 370 Commonwealth to the east and 378-380 Commonwealth to the west. 374 Commonwealth was designed by architects Parker, Thomas, and Rice, and built in 1912-1913 by the George A. Fuller Co. as the clubhouse of the Harvard Club of Boston. The land for 374 Commonwealth was purchased by the Harvard Club on August 14, 1912, from the estate of Henry Lee. 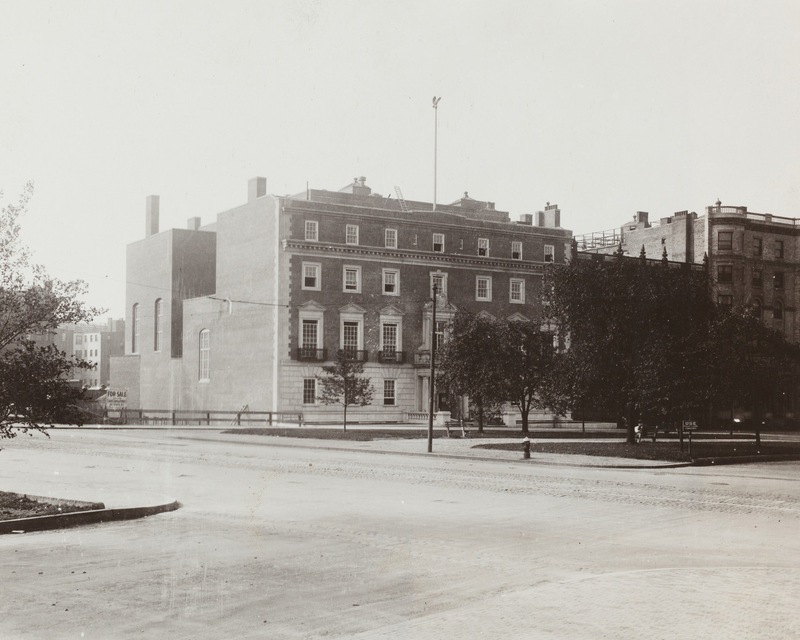 It was part of a larger parcel which had extended to Massachusetts Avenue between Commonwealth and Newbury, including the property where the Sherman Building was built at 93-97 Massachusetts Avenue in 1906, and where The Eliot would be built at 370 Commonwealth in 1925. Henry Lee had assembled this parcel through a series of transactions, combining parts of two larger tracts of land originally purchased from the Boston Water Power Company. Click here for an index to the deeds for 374 Commonwealth 374 Commonwealth, and click here for further information on the land on the south side of Commonwealth between Massachusetts Avenue and Charlesgate East. 374 Commonwealth was dedicated on November 12, 1913, with ceremonies led by Harvard President Abbott Lawrence Lowell, who lit the first fire in the hearth of the main dining room, Harvard Hall. “The building is designed after the style of the Georgian period. With a frontage of 100 feet on Commonwealth av, close to Massachusetts av, it extends back to Newbury st. It stands four stories high on Commonwealth av, to all appearances from the street, but there is an invisible fifth story 33 feet from the front line, giving the dormitory dwellers a good-sized roof garden before their windows. “At the left of the doorway, as one enters the building, is a lounging room, finished in restful tones, at the right are the coat rooms and offices, inconspicuous as they should be in a well-appointed club. “Straight in from the doors, along a hallway pannelled in Flemish oak is the great assembly dining hall, ‘Harvard Hall,’ and no room of more imposing beauty can be found in Boston. “This great room, 96 feet wide and 44 feet deep, has windows high up on three sides, and the ceiling is 50 feet from the floor, the room extending up through four stories. There are accommodations for 375 diners. The floor is of stone. Wainscotting, of finely-toned Flemish oak, extends 18 feet from the floor, the rest of the walls being limestone. Huge fireplaces…are at either end of the room. Directly opposite the entrance is the musicians’ balcony, and, the greatest feature of the room, the immense organ presented to the club by Ernest B. Dane — the last word in the organ builder’s art. “Perhaps the most interesting part of the building to the athletically inclined is the basement, where there are three squash courts and lockers for 172. On that floor also is the kitchen, with most modern appointments, and the wine cellar. “The bar itself is on the main floor, and when it is not in use at large gatherings, the front is hidden by a sliding panel which when it is down is indistinguishable from the wainscotting of the main hall. “The second floor, which is reached by a handsome stairway or by elevator, as the members choose, is given up to a large reading room, furnished in red and white, and two large private dining rooms for private dining parties. Colonial features are recognized in all the rooms… All through the upper floors narrow mantles, in shining white paint, and brick fireplaces abound, and the bedrooms with their delicate flowered wall papers and superb beds suggest comfort and sound sleep. “The third floor, with still another private dining room, service room and bedrooms, is finished in grey and white; the fourth in red and white, and the fifth in green plush. Private baths go with each set of two rooms. There are 42 bedrooms in all. “The cooking is all done in the basement, and a system of dumb waiters carries the food to different parts of the house. Each floor has its serving room, and it is evident that good service can be quick as well as good. In May of 1924, the Club applied for (and subsequently received) permission to remodel the building, constructing a rear addition for more squash courts and adding a dining room. The work was designed by Parker, Thomas, and Rice. On March 23, 1923, the Club had acquired 380 Commonwealth, which it leased to others as a lodging house for several years. In September of 1927, it applied for (and subsequently received) permission to remodel the building as an annex to 374 Commonwealth, providing additional bedrooms for its members and guests. This permitted the club to remodel 374 Commonwealth to move its billiard and card rooms to the third floor (where there previously were bedrooms) and create a new grill room where the billiard room was formerly located. At the same time, the Club also added a new entrance on Newbury Street. The remodeling of both 374 Commonwealth and 380 Commonwealth were designed by Parker, Thomas, and Rice. On June 12, 1929, the Club acquired 378 Commonwealth, exercising an option to purchase the building after the death in May of 1929 of its owner, Abbie (Linder) Pope, the widow of Col. Albert A. Pope. It remodeled the building and combined it with 374 and 380 Commonwealth, cutting connecting doors in the party walls. On October 24, 1927, it purchased the land and houses at 399 and 401 Newbury from Phillips Ketchum of Brookline (the deed for 399 Newbury was dated December 30, 1915, but was recorded on October 24, 1927, and Phillips Ketchum had been the assessed owner of both properties through 1927). 399 and 401 Newbury were two of four houses (399-405 Newbury) built ca. 1890 for real estate dealer S. Horatio Whitwell. The Club razed both houses in about 1936 to provide parking for its members at the rear of 374 Commonwealth. 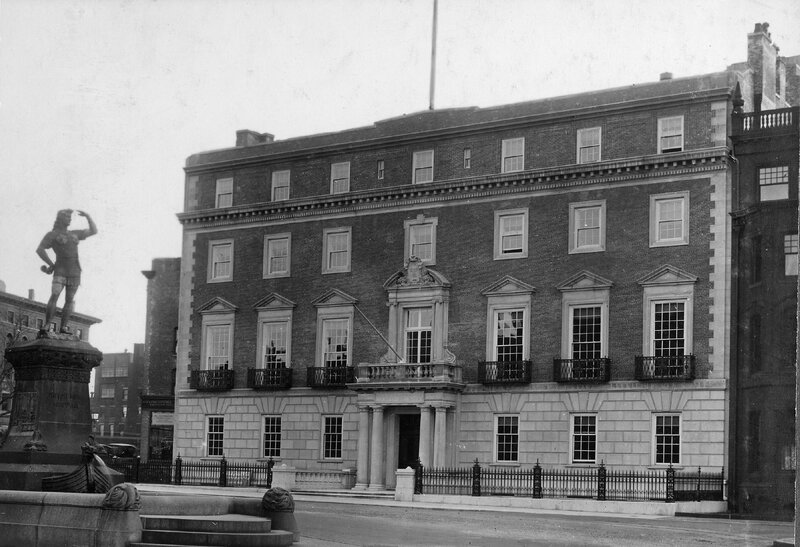 On August 8, 1941, the Club acquired 403 Newbury from Emma Florence (Brann) MacConnell, who had purchased the house in May of 1898 and lived there until her marriage in April of 1902 to John MacConnell, Jr. After their marriage, they moved to New York and she leased the house to others. 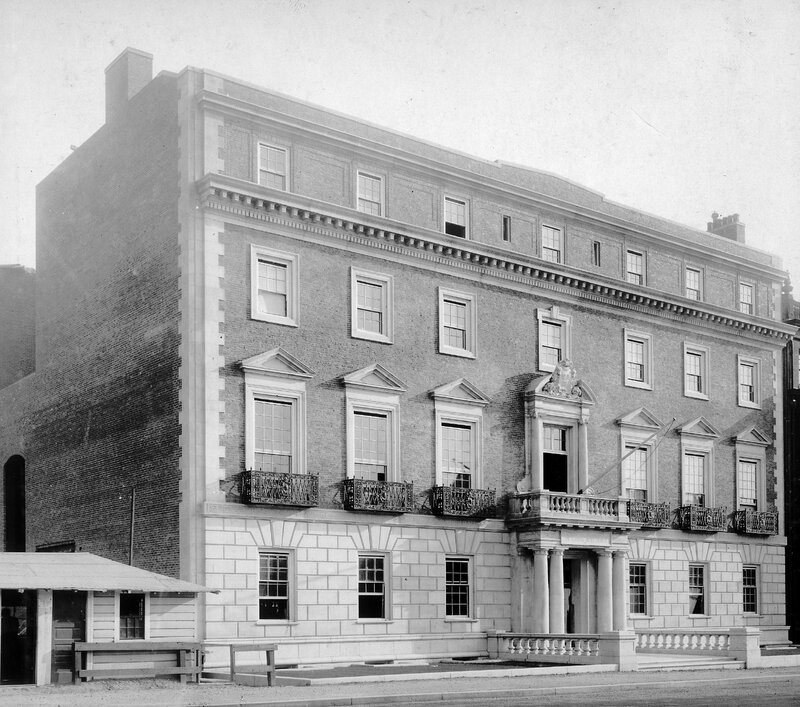 The Harvard Club razed 403 Newbury in about 1947 to expand its parking area. On June 30, 1954, the Club acquired the land at 405 Newbury, where the house had recently been razed, from W. Randolph Angell, Jr. It had most recently been the home of his father and step-mother, Dr. Worcester Randolph Angell and Mabel Margaret (Ross) Angell. Dr. Angell was a physician and had also maintained his office there. On June 23, 1965, the Club acquired 415 Newbury. It had been built as the Volkmann School in 1901 and later was the site of the Massachusetts College of Osteopathy and then Middlesex University. The Club again razed the building to expand its parking. In 2013, the Club undertook to sell 378-380 Commonwealth for development as residential condominiums, but retaining ownership of a portion of the buildings on the first floor and basement levels for its dining room and other facilities. 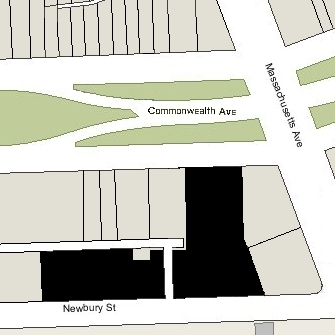 In December of 2013, the Club filed for (and subsequently received) permission to subdivide 374 Commonwealth and 378-380 Commonwealth into two separate parcels, with 378-380 Commonwealth to be numbered 380 Commonwealth and to include a 516 sf parking area at the rear of the building. 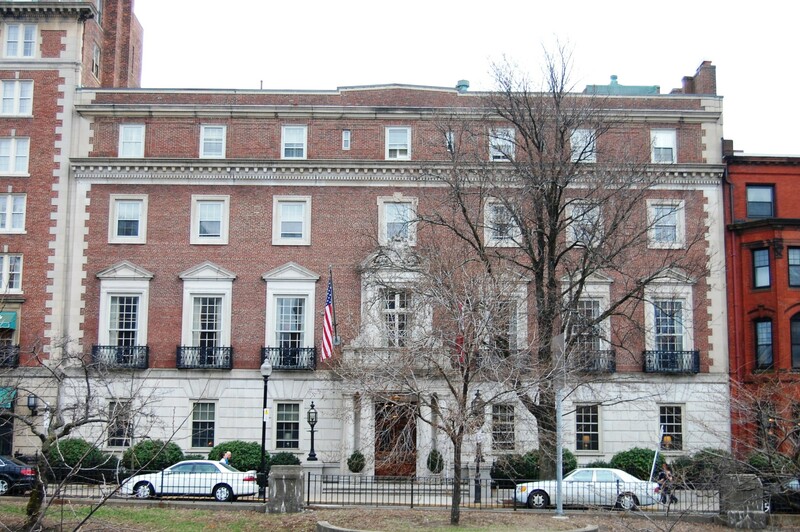 On August 12, 2014, the Club converted 380 Commonwealth into the Harvard Club of Boston Primary Condominium, with two units: the Harvard Club Unit and the Residential Unit. 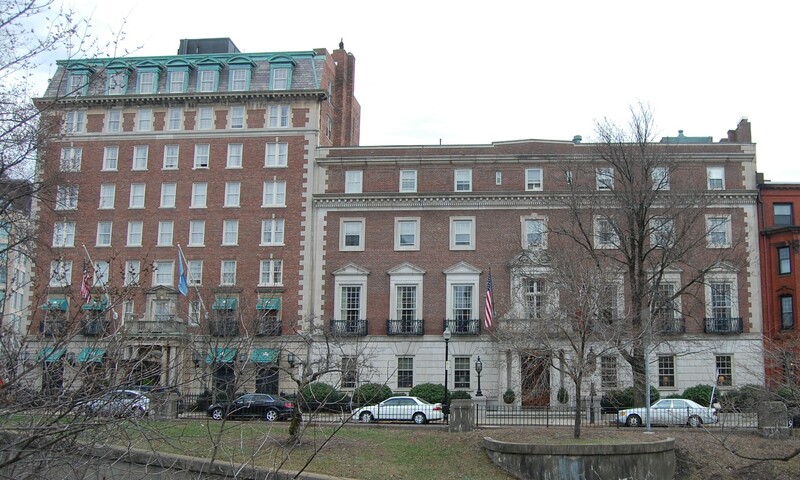 It retained the Harvard Club Unit for its dining room and other facilities, and sold the Residential Unit to the 380 Commonwealth Avenue LLC, which remodeled it into five residential condominium units.